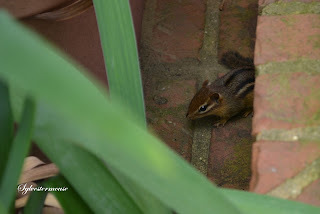 Chipmunks are pretty clever little creatures that many of us find in our own backyards. They are really cute, but often hide when humans are around. Frequently, we can only watch them out our windows. I often see them eating the bird seed that drops on the ground, but I am rarely able to actually catch them on film. I just happened to be outside the day I captured the photo on the left. As you can probably tell by looking at the photo, as soon as this little guy realized I was actually around, he tried hard to hide. I wasn't about to hurt him, but he had no way of knowing that, so he hid until the coast was clear. Chipmunk 2 Inch Round MagnetCheck PriceMany homeowners find chipmunks to be a nuisance since they will indeed dig up flowers and bulbs as they seek insects, worms or food. They dig burrowing holes in the yard, or even nest in a basement. Chipmunks are ground dwellers so are not likely to move into your attic, but if you have a basement or a crawl space under your house, you do need to take precautions. Otherwise, like any creature, they are seeking shelter and a safe place to live. Keep in mind that poisoning a chipmunk is a dangerous decision. Any animal will eat poison, including your own pets, therefore you seriously run the risk of having many unintended victims. Other than the nuisance factor, chipmunks do very little harm, if any. 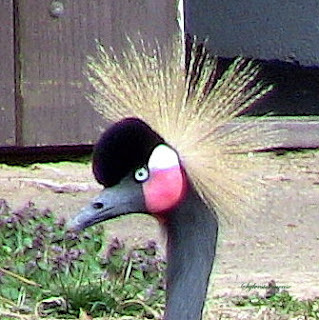 Their damage is mostly limited to the garden areas when they are trying to extract food. They don't carry diseases often associated with wildlife. The biggest concern would be Lyme disease from ticks since all outdoor animals, including pets, are susceptible to ticks. Those of us who live in areas that are highly infected with ticks need to be more informed of how to deal with ticks. Killing the wildlife in our area is not the solution. One really fascinating thing Chipmunks do when digging their homes, they either spread the dirt, or carry it away in their cheek pouches so the entrances are not easy to see. He also camouflages his home with leaves, sticks or other natural debris. Learn More About Eastern Chipmunks, Bring One Home or Scare Them Away!